Amanda Ford is a senior manager in both the Insights for Innovation and Litigation Support practices of Applied Marketing Science (AMS). 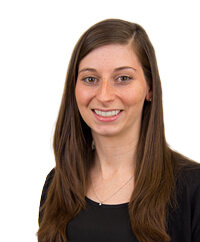 For the litigation practice, Amanda has successfully lead projects with experts working on cases related to trademark confusion, secondary meaning, deceptive advertising and dilution. For the innovation practice, Amanda has lead projects, including Voice of the Customer research, as well as managed the IDEALYST® (an AMS-exclusive web-based brainstorming program) client engagements. Her marketing research experience spans many industries such as medical devices, high-tech products, industrial products, consumer packaged goods and financial services. Prior to her current position, Amanda was the manager of field operations, responsible for all aspects of the data collection requirements for primary research projects both in the U.S. and internationally. She started at AMS as an analyst for both the Insights for Innovation and Litigation Support practice areas. Born and raised in Massachusetts, Amanda currently lives just outside of Boston. While she absolutely hates the cold, she can’t imagine living anywhere else. In the winter you can find her skiing in the mountains of New Hampshire with her family, and in the summer you’ll find her relaxing at the beach with her friends. In her spare time she also enjoys watching the Patriots, attending concerts and plotting her next vacation destination. Amanda holds a B.S. from Bentley University where she majored in marketing and was a President’s Academic Scholar. She is currently pursuing a Masters in survey research from the University of Connecticut.